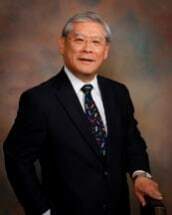 Trial attorney with over 40 years of successful litigation experience who is respected by both judges and collegues for his legal abilities and integrity and often called upon by the court to represent invididuals in complicated cases. In 1970's, as the attorney in charge of one the first mental health law projects in the country litigating Constitutional rights, including right to counsel. For the past 35 years, my practice has been primarily before the U.S. District Courts. First as a trial attorney with the U.S. Labor Department litigating Constitutional issues regarding the Federal Mine Safety and Health Act. Now primarily representing individuals charged with federal criminal offenses in the U.S. District Courts including drug conspiracy and distribution, internet offenses, and white collar offenses such as bank, mail and wire fraud, money laundering , bribery structuring, internet offenses . I have also represented invididuals charged with offenses involving sensitive national security issues.